On February 5, THE LIST, the Dubai-based pioneering ecommerce company, is launching a cryptocurrency payment service in partnership with BitBay Pay as the first luxury fashion mobile platform globally. With the number of bitcoin users expected to exponentially grow from currently less than 10 million to more than 200 millin by 2024 and global mobile payment revenue estimated to already reach more than $1 trillion in 2019, THE LIST firmly believes in cryptocurrency being the future of online spending. "Due to the growth of e-commerce and the high mobile penetration digital payment solutions have experienced significant growth. We see cryptocurrency as an enduringly relevant currency, not just a trend," says THE LIST Founder and CEO Andreas Skorski. 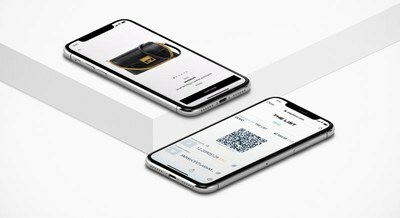 THE LIST is a global luxury fashion platform connecting people to the right product through intelligent mobile technology. As a luxury fashion aggregator, THE LIST supports retailers to broaden their customer reach globally, focusing on the Middle Eastern market, and sells a wide selection of designer fashion and luxury products from the world's best boutiques. With its mobile application the platform instantly connects customers to a personalized selection of product and content through AI-based technology. Learn more about THE LIST and download on the Apple App Store or visit gothelist.com. BitBay Pay is an innovative platform that allows users to accept different cryptocurrencies as a payment method. BitBay Pay provides simple, fast and secure payments that can be implemented for any business. BitBay Pay belongs to the BitBay product family, the largest cryptocurrency exchange in Europe. The platform was founded in 2014 and today has nearly 1 million users worldwide. Find out more about BitBay Pay at bitbaypay.com.